The Mahindra race crew makes final tweaks to driver Nick Heidfeld's car at the Formula E ePrix in Long Beach. The Mahindra race crew makes final tweaks to driver Bruno Senna's cars at the Formula E ePrix in Long Beach. BMW i8 electric vehicles served as safety cars at the Long Beach Formula E race. The Mahindra race crew makes final tweaks to the cars at the Formula E ePrix in Long Beach. Mahindra Racing driver Nick Heidfeld in the team garage at the Long Beach Formula E ePrix. Races help push the envelope in EV technology, says SCE President Pedro Pizarro. 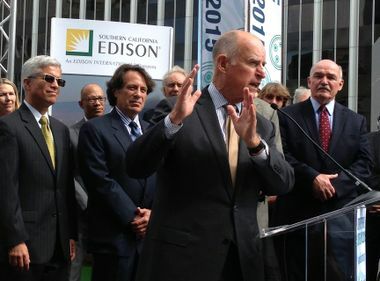 For Southern California Edison, the recent Long Beach Formula E race was an opportunity to get behind an event that will help accelerate advances in electric vehicle technology — advances that SCE President Pedro Pizarro says will make their way into the mainstream. 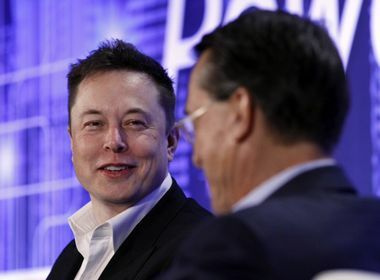 “Auto racing is one of the ways in which automakers really push the boundaries and push the edge and ultimately these advances filter over into the mass market,” he said. This is the second year Formula E has come to Long Beach, and SCE has sponsored the race both years. Formula E is held on the same track as the Long Beach Grand Prix. 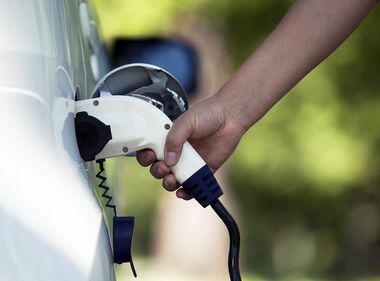 But Instead of the loud roar of turbocharged engines, Formula E cars, which are powered by a battery that has about the same energy as 10,000 AA batteries, sound more like radio-controlled hobby cars. But don’t be fooled by the 80-decibel whine of their motors. Formula E cars deliver 100 percent of their power as soon as you hit the accelerator, and reach speeds of more than 125 mph. SCE has had a pioneering role in the research and demonstration of electric vehicle technology, so it is fitting that the utility would sponsor an event like Formula E.
Utilities have a big part to play in an expanding electric vehicle market, he said, including providing the infrastructure to ensure there is a robust grid to power electric cars, as well as having the rate structures that can help customers use and adopt the new technology. Between morning practice sessions for the Long Beach Formula E, a parade of 132 BMWs — mostly electric i3s, i8s and plug-in X5s — made their way around the racetrack. The parade, which was an attempt to get into the Guinness Book of World Records, was organized by Roman Vazquez III, a BMW enthusiast who also happens to be a principal project engineer with SCE’s Tehachapi Renewable Transmission Project. With backing from BMW of North America, Vazquez set out to beat the record for the longest BMW parade that was set in Germany in 2008 by a caravan of 178 Isettas, three-wheeled cars produced by BMW in the 1950s. Although the 132-car parade in Long Beach fell short of the record, Vazquez, a co-founder of the Southern California BMWi Owners Group, says there was still a measure of success. “This is by far the largest BMW electric vehicle event ever,” he said. And, as far as getting into the Guinness Book of World Records, he says there’s always next year.